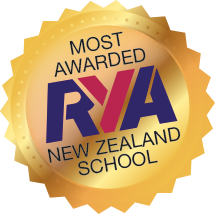 Sail Nelson is a fully accredited Royal Yachting Association sail training centre, run by sailors for sailors. We teach all abilities from novice to Yachtmaster™ Offshore. Our passion is for sail cruising and to that end everyone here has spent many months and years cruising the worlds oceans. Setting sail, whether along the coast or across an ocean, is a psychological challenge made much easier when you have acquired the necessary skills. Nowhere are these skills more essential than in coastal waters where confident boat handling and accurate navigation are paramount. So, whether you’re planning to cruise for a weekend, a week, a month or a year we’re here to give you the knowledge, ability and confidence to enable you, your friends and your family to get the most out of sail cruising in a relaxed and enjoyable way. Sail Nelson’s RYA qualified sailing instructors all have excellent tuition skills, proven sailing ability and many thousands of sea miles under their belts. They are patient with a good sense of humour and all love being on board in Nelson, with its stunning scenery and renowned sunny climate. Chris, and his wife Katy, sailed their 35ft ketch Whistler from the UK to New Zealand, via Easter Island and Pitcairn during 2003/2004. Prior to that Chris grew up sailing in the UK and has sailed all his life since early childhood. He began with dinghies and small yachts, sailing all around the coast of the British Isles, before repeatedly crossing the English Channel sailing to France and the Channel Isles. From his early 20’s Chris was skippering passages west to the Hebrides, off the West Coast of Scotland, including the remote and rugged islands of St Kilda and north to the Orkney Isles. 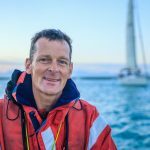 During the early 1990’s Chris spent many months teaching boat handling on various expeditions amongst the fiords of southern Chile. Since moving to Nelson Chris (together with his wife Katy and 2 children Ben & Sally) has continued to sail, instruct and explore around the unspoiled coastline of New Zealand and many of the idyllic islands of the South Pacific and Tasman Sea. But for anyone who loves sailing and the outdoors Nelson is perhaps impossible to beat and Chris always loves sharing it with visitors to the region. Kathryn, or Kat as she prefers to be known, started sailing when she was just 7 and spent most of her childhood circumnavigating the globe with her family. After returning to her home in Nelson Kat crewed as a teenager on another family adventure, sailing from New Zealand to Chile and back, across the Southern Ocean. In 2015 she spent a year sailing solo around the Pacific, navigating and exploring the islands of Tonga, Fiji, New Caledonia, and Australia along the way. Over the past 20 years Kat has sailed many of the major ocean passages to make landfall in over 42 foreign countries. It’s hard to imagine how Kat managed to fit in her university Degree, but even this incorporated repeatedly skippering her 32ft yacht along New Zealand’s rugged east coast, between Nelson and Dunedin. Living aboard her yacht has become a way of life for Kat and it provided her with perfect student accommodation. Numerous Yacht deliveries, sailing solo across the Tasman, and south to the Sub-Antarctic islands of New Zealand, charter work and dinghy racing are all part of Kat’s rich sailing life. 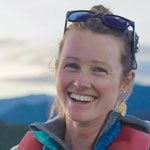 Kat is a passionate sailing instructor and enjoys sharing her knowledge and skills from her home port of Nelson. Jiri’s first introduction to sailing was on an 11,000nm gruelling passage from New Zealand to Antarctica via Cape Horn and Argentina. Sailing without an autohelm this was an extreme introduction to sail cruising, yet Jiri was hooked! Since then Jiri has crossed the notorious Bay of Biscay and North Atlantic Ocean as well as doing numerous ocean yacht deliveries, around the Mediterranean and along the Atlantic coast of Africa. 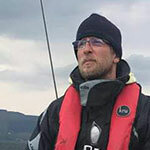 More recently, before returning to New Zealand, Jiri worked as a Yachtmaster Instructor on the spectacular and rugged West Coast of Scotland, teaching sailing amongst the inner and outer Hebridean Islands. Teaching sail cruising out of Nelson in such an idyllic location as New Zealand’s Tasman Bay is a dream job for Jiri and his patient teaching style makes it easy for him to share his skills.